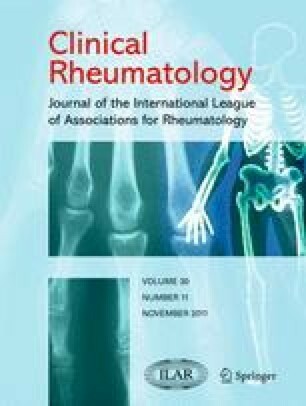 The aim of this study was to assess, based on observational data from the Finnish Register of Biological Treatment, the outcomes of switching an initial tumor necrosis factor (TNF) blocker to another in the treatment of rheumatoid arthritis (RA). RA patients, who started biological therapy with a TNF blocker between May 1999 and April 2009 and who switched to another TNF blocker, were studied (n = 479). The outcomes were assessed according to the reason for and type of the switch. Outcome assessments included American College of Rheumatology 50 responder index (ACR50) response at 3 months after the switch, treatment duration of the second TNF blocker, and swollen joint counts, CRP and DAS28 score at the 3 months, best and last observations of the first and second TNF blocker, respectively. In those who switched due to lack of effectiveness (LOE), the disease activity parameters fell significantly from baseline upon use of infliximab or adalimumab, but had increased prior to the switch. Switching to another TNF blocker (etanercept or adalimumab) restored the response initially achieved with the first TNF blocker. The disease activity parameters fell significantly from baseline upon use of etanercept, and were maintained but not further improved after switching to adalimumab. TNF blocker switching seemed to be most beneficial in secondary LOE (defined as loss of ACR50 response). In those who switched due to adverse events (AE) or other reasons, a similar degree of response as had been achieved with the first agent was also achieved and maintained with the second agent. The results suggest that a second TNF blocker can restore the response in cases of secondary LOE and maintain it after switching due to an AE. The data processing and statistical assistance by Dr. Viljami Laine and secretarial assistance by Taina Käyhkö are greatly appreciated. This study has been supported by the Victoria Foundation, the Wilhelm and Else Stockmann Foundation, the Waldemar von Frenckell Foundation, Finska Läkaresällskapet, the Perklen Foundation, the Sigrid Jusélius Foundation, the Center of Excellence of the Academy of Finland, ORTON Foundation, EVO grants, and the TBGS National Graduate School of Musculoskeletal Disorders and Biomaterials. The ROB-FIN register has been financially supported by grants from Abbott, Roche, Schering-Plough, UCB, and Wyeth. Liisa M. Virkki has received an unrestricted research grant for this study from Wyeth.